Highlead GC20688-BDCE B50 high specification heavy duty single needle edge trimming and binding sewing machine. 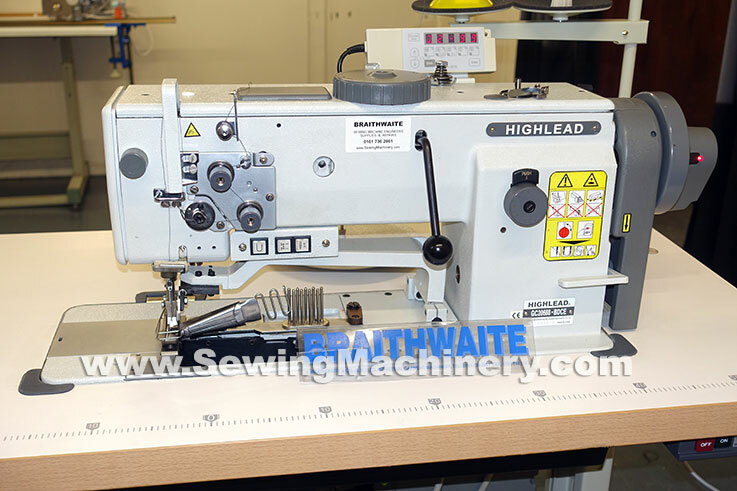 Highlead's industrial side knife binder system: stitches, binds and edge trims in a single operation as the machine sews. Vertical axis hook assembly & drive transmission for stitching with medium to heavy materials and associated thicker sewing threads. The extra large 2.5x hook offers longer stitching runs, with fewer bobbin changes, when compared with 1x or 1.6x standard hook sizes. 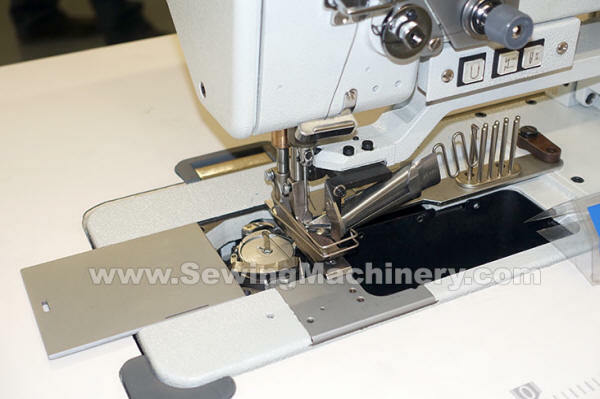 As a purpose built edge trimming binding machine, the hook is fitted on the opposite left hand side to accommodate the flush fitting of trimming & binding equipment to the right of the needle, allowing easy unobstructed access for bobbin changing. The bottom feed, needle feed, alternating walking foot top feed and moving binder system combine together for precise binding, stitching and trimming operations. Automatic under bed thread trimming, automatic reverse stitching, automatic foot lifting and other operator aids further speed up production, while reducing fatigue. Assembled with matching unit stand including the world class Mitsubishi electronic control system, heavy duty G-Series servo motor and operator control panel manufactured by the Mitsubishi Electric Corporation Japan. Extra large 2.5x bobbin capacity. 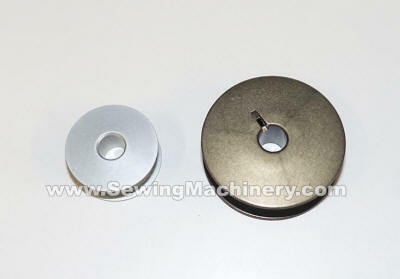 Dial adjustable walking foot alternation. Extra large waste chute cut-out. Mitsubishi electronic control & servo motor.